The Green Assets Wallet offers cost effective and immutable verification of delivery on green investment. The Validation is built around the verification of Evidence Points (such as engineering reports, certification schemes and labels, satellite footage, etc.) validated by Accredited Validators (such as engineering firms, auditor firms, certification organisations, IoT devices, etc). Validation of Green Claims put forward by the recipient of funds may require one point of evidence while others may require a combination of several. This depends upon the issuer, project, market as well as type of evidence. 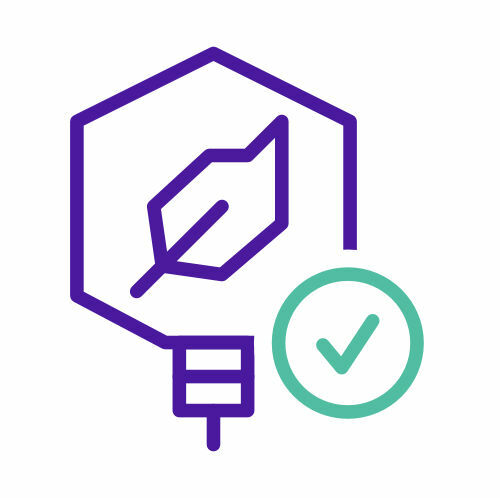 Once all Evidence Points are met, a Smart Contract is activated that confirms delivery on Green Claims. 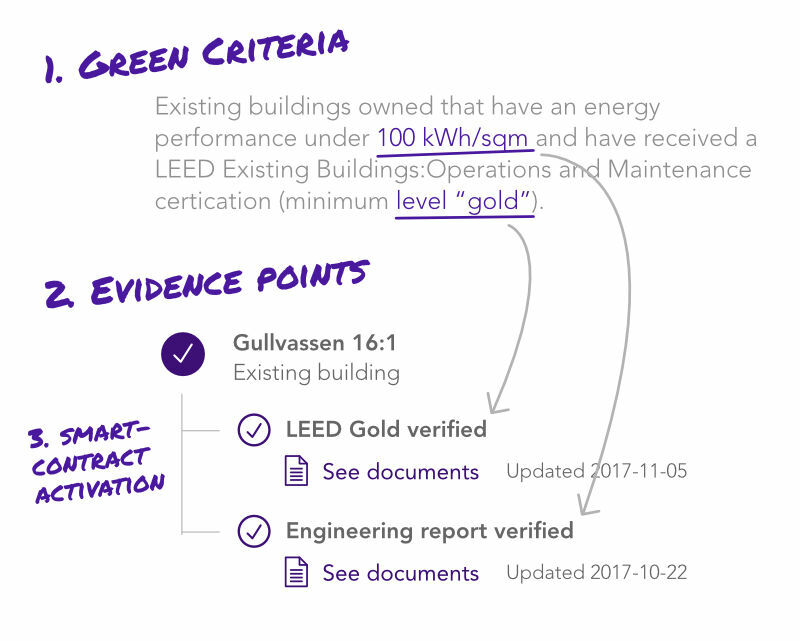 The example to the rights illustrates how a Green Building is validated through the Green Assets Wallet.